Controversial maybe, but you can’t do much arguing with MRI scans as proof. For the first time, we have public information as to what happens to a corset wearer’s organs through the use of MRI (magnetic resonance imaging). And apparently, it’s not much at all. This article is almost a complete copy of the full article on Lucy’s Corsetry website, and I recommend going to check out her articles and resources on all things corset-related. Here’s the link to Lucy’s website, which includes her in depth video review on the topic. 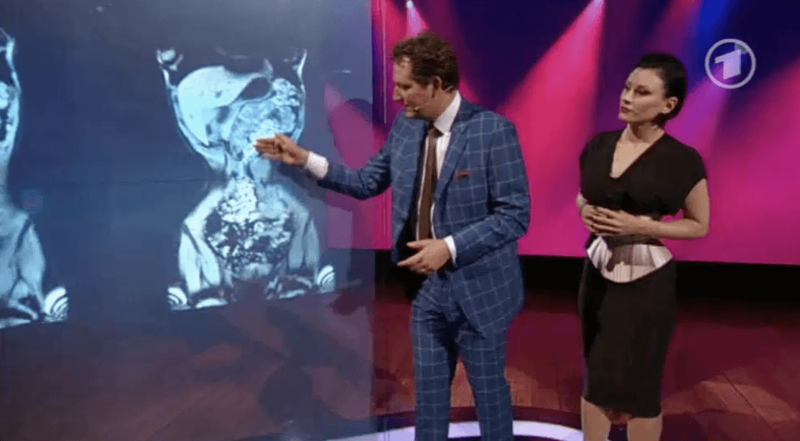 For the first time, we have public information as to what happens to a corset wearer’s organs through the use of MRI (magnetic resonance imaging). 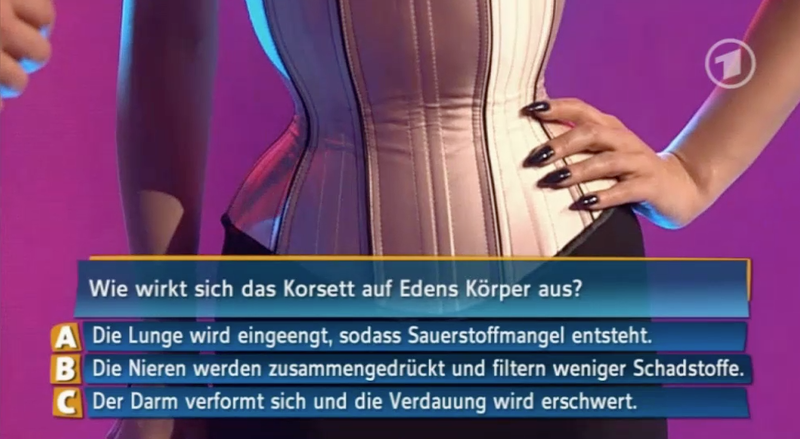 Fortunately, German medical doctor and TV sensation Dr. Eckhart von Hirschhausen took it upon himself to study how a corset moves organs in a tightlacer on his October 2nd episode of his gameshow, Hirschhausens Quiz Des Menschen(“Hirschhausen’s Quiz of the Human [body]”). 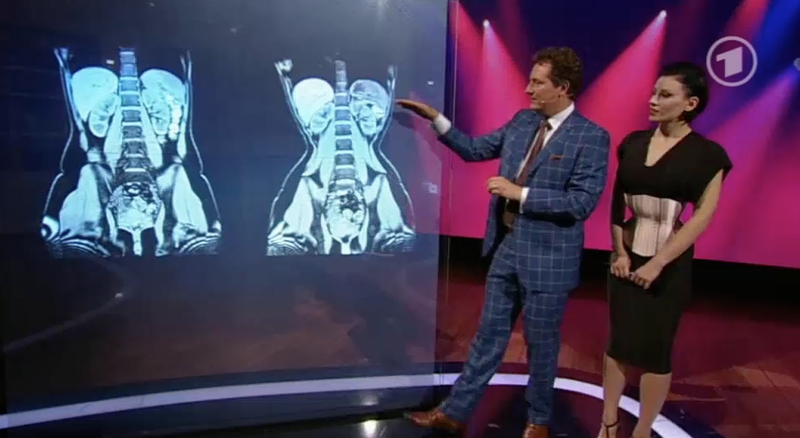 Now Dr. Eckhart gestures to the right image and shows how the intestines are flexible. He says that you can see that the transverse colon has shifted so that part of it is above the waistline, and part of it is below. 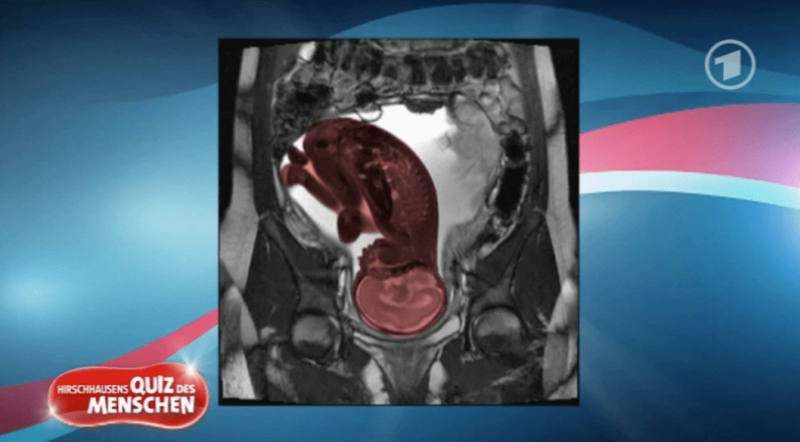 (While it might not have been explicitly mentioned, from the image we also now have confirmation that the liver and stomach move upwards (and the liver remains pretty much in the same shape) and they are not forced down below the waist like some horrendousillustrations once claimed).